A few years ago, the options for healthy cooking oils were fairly limited. You bought olive oil and coconut oil and you were good to go! These days, there are many more options on the market. Which is wonderful! But it can also be confusing trying to decide which one is best for different cooking applications. 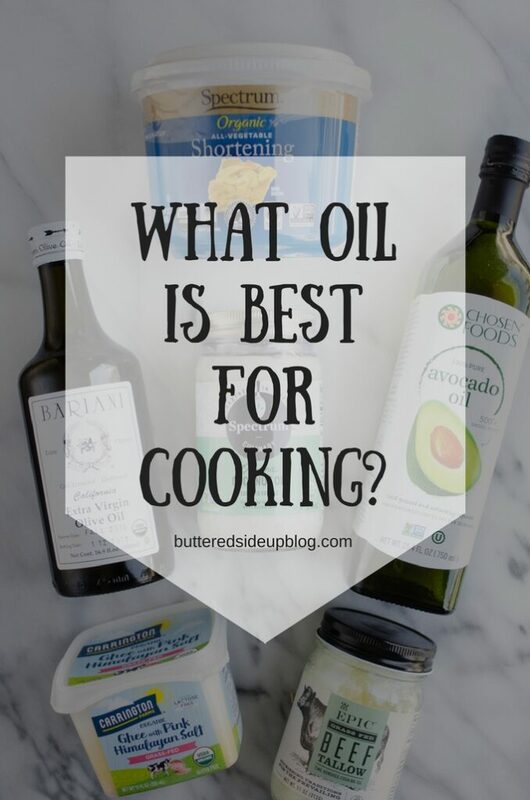 Today I’d like to talk about a few different options, and give my opinion on what oil is best for cooking. First, let me say that I’m not including any polyunsaturated fats on this list because I don’t think they should be heated if possible. As I’ve mentioned in previous posts, I try to avoid polyunsaturated fats because they are unstable, go rancid quickly, and are WAY overused in the Standard American Diet. You can read more about the health risks of polyunsaturated fats HERE. But let’s get into the meat of this post. 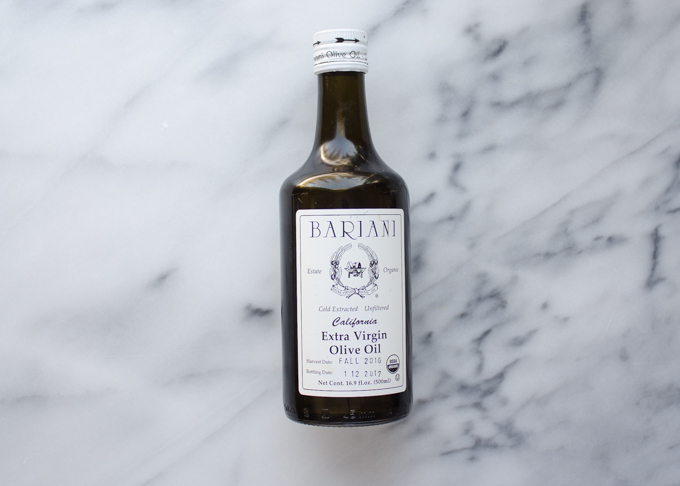 Let’s start with one of the most well-know cooking oils: olive oil! This is the one I used a lot when I first got into eating healthier as a teen. It has a strong flavor, which is wonderful in certain dishes, but undesirable in others. 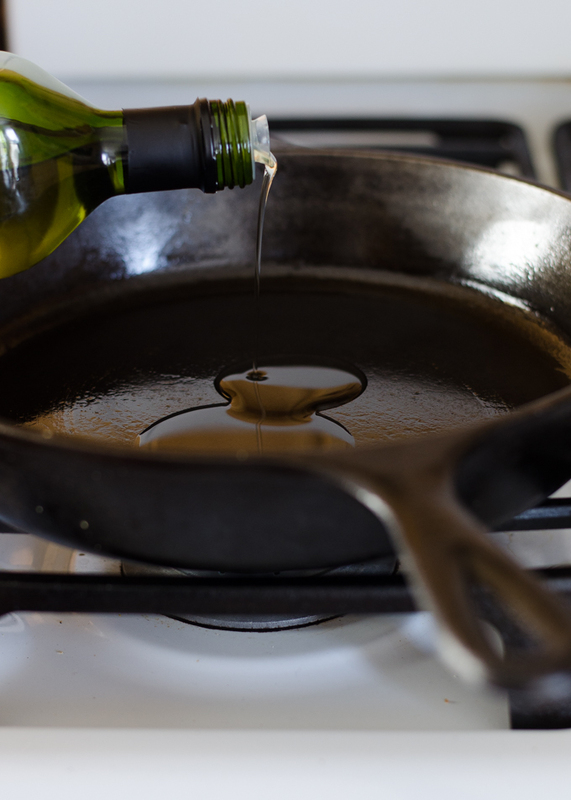 The smoke point of extra virgin olive oil is only about 325°-375°F, so it’s not the best for high-heat sauteing. I like to reserve my extra virgin olive oil for flavoring dishes, baking (like my delicious Blood Orange Olive Oil Cake), and low-heat cooking. 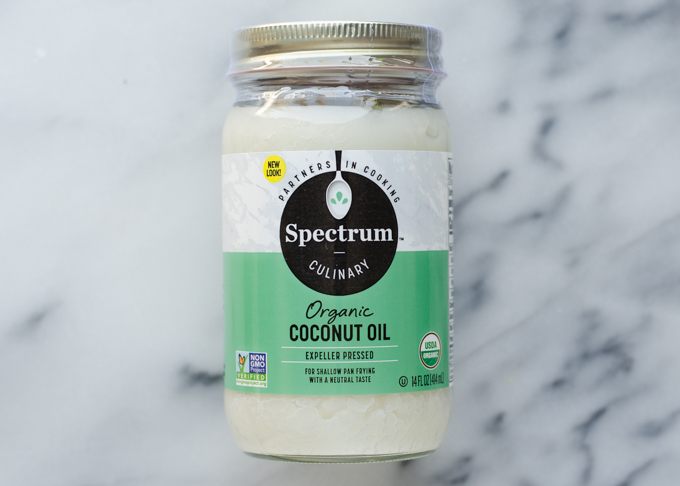 Virgin (unrefined) coconut oil is similar to extra virgin olive oil: it’s highly flavorful and has a fairly low smoke point (around 350°F). Expeller pressed (refined) coconut oil has a higher smoke point, but sources vary as to how high it actually is. I’ve seen sources claiming that it’s 450°F. On my bottle of expeller pressed coconut oil it recommends only heating to 365. So expeller pressed coconut oil can be good for deep frying some foods, but you need to be careful not to over-heat it. Don’t worry: this is NOT partially hydrogenated shortening. It’s just organic palm oil, which is naturally solid at room temperature. It is a very neutral tasting oil, and it has a pretty high smoke point (my tub says 450°F). You rarely need to cook something at a heat higher than 450, so this will work in most instances. 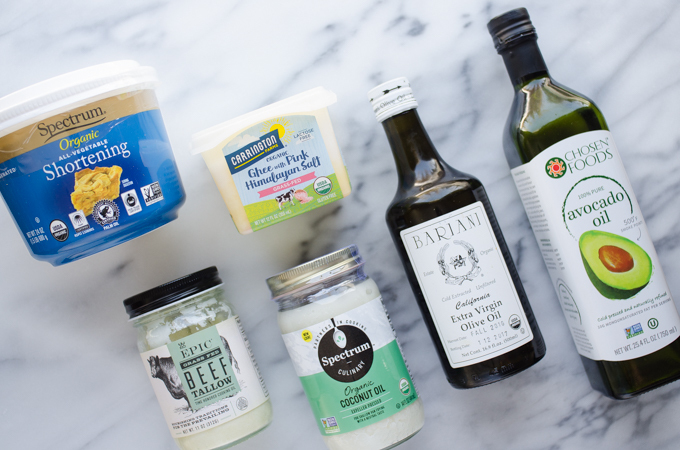 My one quibble with this oil is kind of a love/hate thing: It’s mostly healthy saturated fat (yes, I believe that saturated fat is healthy), which makes it solid at room temp. This can be annoying, especially if you live in a cold climate (like I do). If your house is cold, saturated fats can get difficult to scoop out of the container. But this is a pretty minor downside. And palm oil actually tends to stay softer than coconut oil for me. Ah…beautiful ghee! 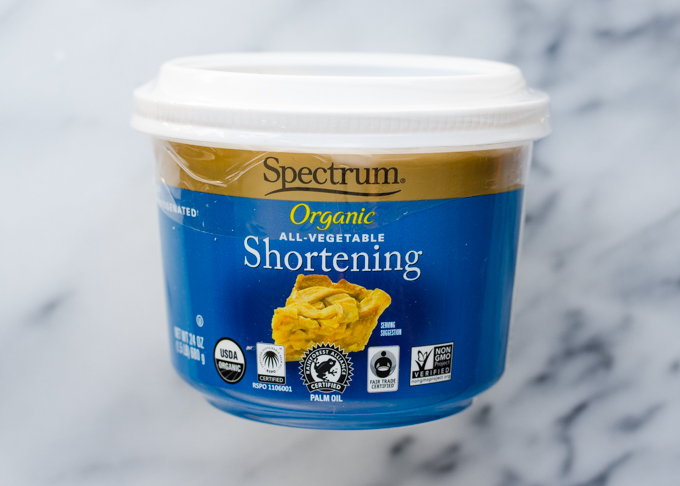 Ghee is butter that has been refined to remove the milk solids. 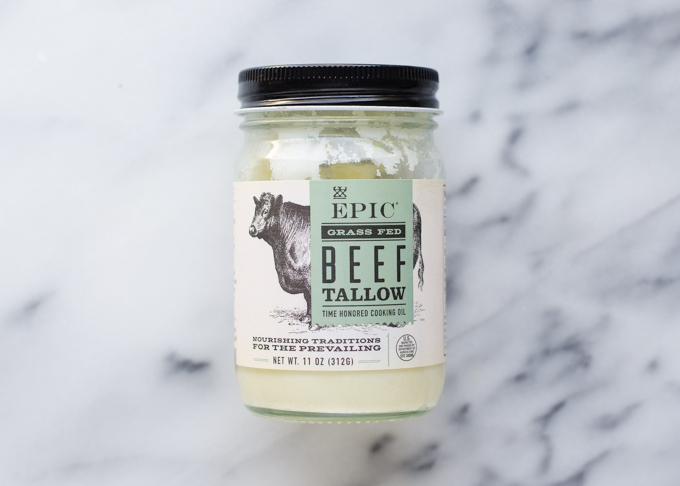 It’s pretty easy to make yourself (I did a tutorial for How to Make Ghee on The Pioneer Woman’s blog), and there are several brands of grass-fed ghee on the market. For some reason a tub or jar of ghee just makes me happy. I love that I’m cooking with butter that has a higher smoking point! Some sources claim that ghee has a smoke point as high as 485°F. 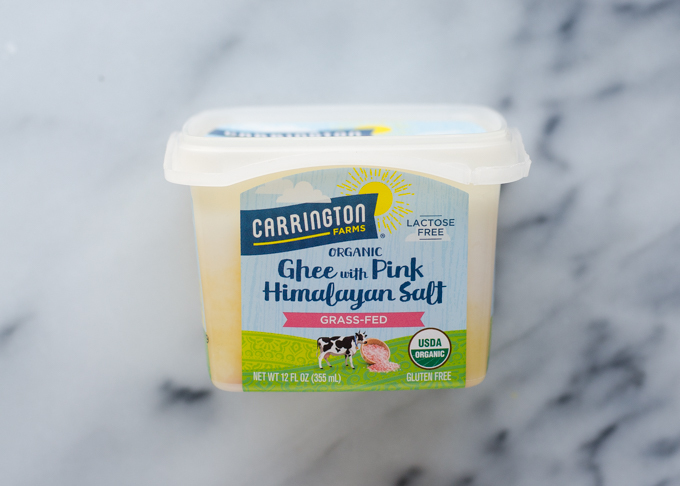 I think it all depends on what ghee you have: my tub says to only go as high as 350. Ghee is definitely more expensive than some of the other cooking oils, but it’s fun as a treat. Again, these types of fats/oils can be more expensive, so they’re great as a treat. Now we come to my personal favorite cooking oil. Refined avocado oil has a smoke point of 500°F. Wow! It has a neutral flavor, it’s liquid at room temperature, and it’s mostly healthy monounsaturated fat. This is the oil that I find myself reaching for most often. Yes, it’s pricier than your run-of-the-mill “vegetable” oil, but it’s also higher quality. 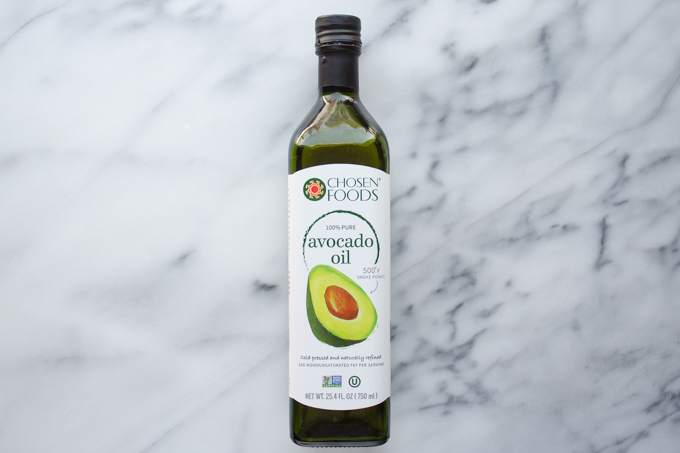 I wouldn’t use avocado oil to replace all other saturated fats (I like to consume a good mix of both saturated and monounsaturated fats with a higher emphasis on saturated fats). But it’s really handy when you want to saute something, drizzle oil over veggies for roasting, etc. So, what oil is best for cooking? I think all of these oils are great choices, and I use each of them for different purposes. But the avocado oil, palm oil, and expeller pressed coconut oil are my favorite all-purpose oils because they have neutral flavors and higher smoke points and are generally a little more affordable. Which is your personal favorite oil? Are there any not listed here that I should give a try? For cooking, I use olive oil, butter or for Asian dishes, peanut oil. Peanut oil is excellent for stir-fries and while its flavor is mild, it is distinctive enough that it will make your dishes taste more authentic. I use butter and lard for pastry dough and avocado oil for salad dressing. Thank you for sharing what you use! Oh my…I’ve never seen goose fat before, but that sounds like some truly delicious French fries! If you haven’t before, I would highly recommend making your own ghee. I make it a couple of times a year when unsalted Kerrygold goes on sale. It doesn’t take a lot of effort, and the result is AMAZING.